The novel finally came to an end this Sunday morning, as Real Madrid called up a press conference to announce that Cristiano Ronaldo had renewed his contract with the club until 2018. 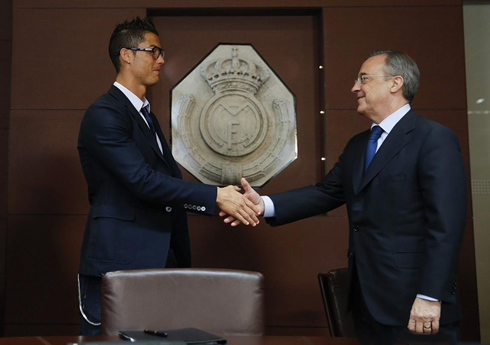 The Portuguese player previous contract was going to expire in 2015, but he has decided to extend it for 3 more years, becoming the highest paid footballer in the World, as he will earn from now on 17 million euros per year. It's finally official: Cristiano Ronaldo renewed his contract with Real Madrid until 2018 and will become the highest paid footballer not only in Spain, but in the entire World (salary wise only). The 28-year old forward will earn a net salary of 17 million euros per year, which means that under the current income and tax laws in Spain, Real Madrid will be paying Ronaldo an annual gross salary of €35.416.667. Spanish taxation for this level of income are currently set at 52% (already including the 7% temporary subcharge), meaning the Portuguese star will get entitled to 48% of that value and which corresponds precisely to the net 17 million euros that the whole press is talking about. With this new contract, Cristiano Ronaldo will now top the list for the best paid football player in the World, ahead of Barcelona's Lionel Messi and Neymar, PSG's Ibrahimovic, Monaco's Radamel Falcao, Manchester United's Wayne Rooney and even his new teammate at the club, the Welsh Gareth Bale. Chelsea's new summer signing Samuel Etoo has led this ranking for the past 2 seasons, but has accepted a significant cut on his salary in order to move from Anzhi to Chelsea (from 20 million euros to 9 million euros per season). He doesn't even feature in the top 10 list anymore. Needless is to say that Cristiano Ronaldo was a happy man this Sunday. The Portuguese superstar has finally put pen-to-paper with this new deal and Real Madrid got to assure CR7 services for the next 5 years. As for Ronaldo's image rights, he's allegedly owning 50 to 60% of his endorsements/sponsorship revenues, while the club gets their own cut on the remaining share. His first words were directed to his teammates, coach and president. Cristiano Ronaldo: "I want to thank my teammates, our coach and our president, for having finally settled down an agreement that leaves me very happy. It's an honor to be in this house which has given me so many things. I'll always give my best for this jersey and I'm very thankful to all the fans who support me both on and off the pitch. That's because of them that I'm here! ", started by stating the Portuguese international. 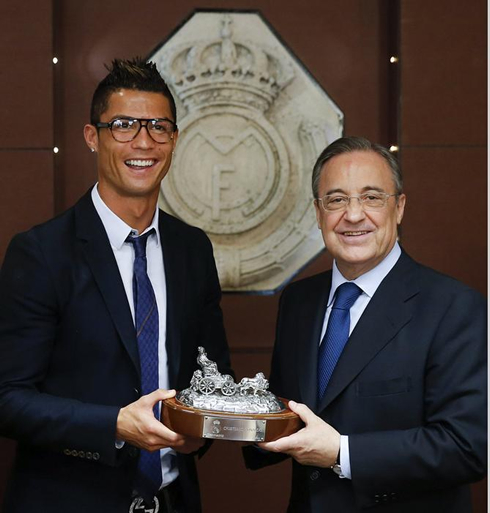 Ronaldo: "I had a verbal agreement with Florentino Pérez since the end of last season, but we have only carried on with it now because we had a few details still missing. We both wanted the same thing and that was me extending my contract with Real Madrid. I've never thought very seriously about leaving the club in the past months", assured CR7, denying those multiple rumors about a possible transfer involving him during this summer. The Real Madrid forward has also admitted that he regrets the way he reacted more than a year ago, when after a game against Granada he said to the press that he was unhappy at the club. 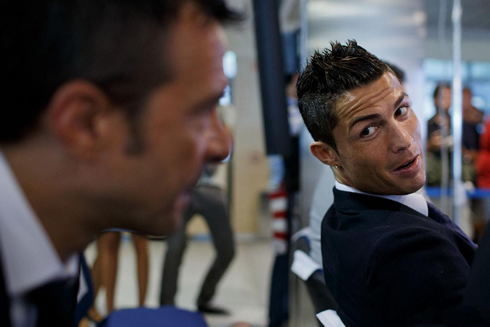 Ronaldo: "I think that we all have both good and bad days, which is perfectly normal. On that particular day, I was a bit sad and that's something natural to happen with any human being. I probably shouldn't have said those words in public. I'm not perfect, I make mistakes like everyone else, but that's part of the past already. Now I'm on a great moment, I feel good, happy and I have great expectations for what's coming ahead. I want to stay in this club for many more years and I'll give my best, as I always do. As for the numbers involved on his new salary (17 million euros per year) and how important that may have been to persuade him to renew with Real Madrid, Cristiano Ronaldo said quite simply that there are more important things in life than money. 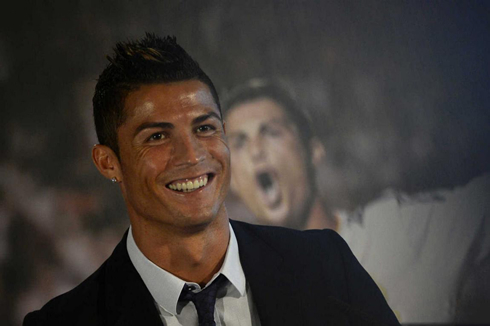 How much does Cristiano Ronaldo win per year, month, week, day, hour, minute and second? Ronaldo: "In life, there are more important things than money. 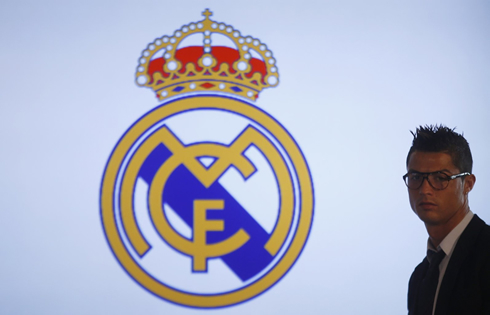 It's important of course, I'm not going to deny that, but the priority was to be presented with a strong project with future and to stay in the best club in the World. The president makes an effort to always sign the best players in the World and I feel I'm included in that philosophy. This team can win more leagues, cups and more Champions League trophies. Money will never be a problem to me and I don't care weather or not I'm the best paid footballer in the World", remarked the 2008 FIFA World Best Player. One of the main reasons that made Ronaldo renew his contract with Real Madrid was the support and warm he felt from the Santiago Bernabéu fans. 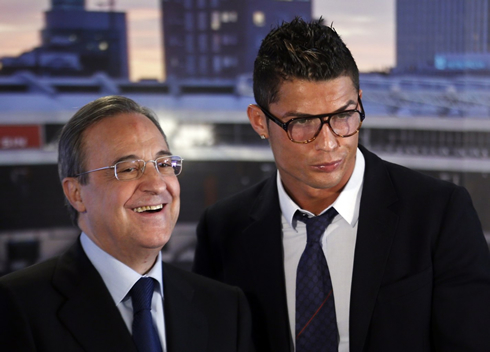 With 203 goals in 203 games for the club, the Portuguese striker has won the admiration of everyone in Madrid and nowadays, no one certainly regrets the still world-record transfer fee of 94 million euros that was paid to Manchester United to bring Cristiano Ronaldo to the Spanish capital (Gareth Bale was allegedly transferred for 91 million euros, until proven otherwise). Ronaldo: "The support and incentive I feel I have from Real Madrid fans is very important for me. It was undoubtedly a huge factor weighing in my decision. I don't know if I'll be ending my football career in this club, because we're still far away from that moment and I don't know how things will be when I'll be 33 years old. For now, I'm just focused in pleasing my fans and I'll do the best I can to achieve that. I'll try to score another 200 goals! 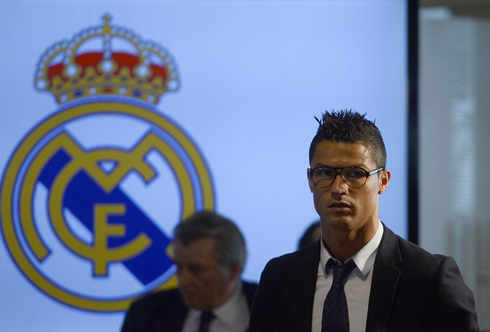 ", commented the Portuguese star. Cristiano Ronaldo: "I never thought very seriously about leaving Real Madrid and the few times that those ideas may have crossed my mind, they weren't strong enough to wake me up at night. It wasn't something I wanted. I simply wish to continue playing in the best club in the World. I enjoy playing for Real Madrid as this is the most important club one player can aspire of playing for". 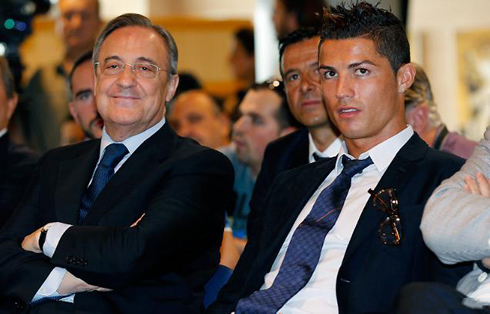 Ronaldo: "These signings and sellings are nothing that we haven't seen before. It's normal in this club and we shouldn't be surprised with it. The president and the club decide whoever they want to sign and we have to respect that. We have our own opinion but that stays with us. If we do end up winning important titles, then we'll be able to say that this team is better than the one we had in the previous years, but we'll obviously have to work hard for that to happen. We have great players, but that doesn't necessarily mean that we're going to win everything. It sure helps, but we can only win if we work a lot. I have good feelings about our chances of winning "La Décima" (the 10th UEFA Champions League that the club chases for years). 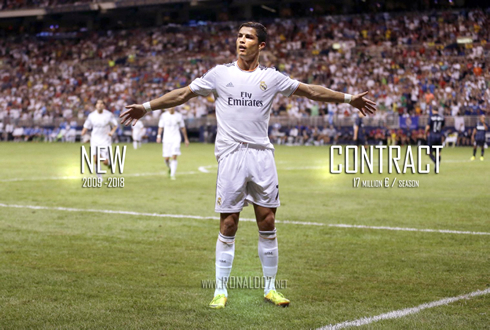 Hopefully it will happen this season, as we have really good players and a great coach", finalized Ronaldo. Cristiano Ronaldo next game for Real Madrid will be the UEFA Champions League against Galatasaray, this Tuesday (September 17, 2013) at the Turkish Telekom Arena. You can watch Juventus live stream, Galatasaray vs Real Madrid, Bayern Munich vs CSKA, Manchester United vs Bayer Leverkusen and Viktoria Plzen vs Manchester City, all matches provided from our football live streaming section.